In the latest HB freestyle segment, Romzy steps up to the mic to deliver a cold new freestyle. 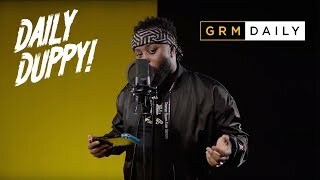 Multi-genre artist, Romzy, hailing from South East London is the latest to step into the booth with Joey Clipstar, and deliver his hardest bars. Showcasing his versatility, the artist delivers hard-hitting bars, whilst dabbling with his melodic side, to create an infectious freestyle that flows with ease; over two impactful instrumentals. Romzy has a lot of talent, and hopefully we’ll see him receive more recognition as time goes on. Check out the latest HB freestyle, from Romzy, in the video above, and share your thoughts with us on Twitter.